Airtel has been cool when it comes to data bundles but they usually follow what other network does. Even before now, people have been subscribing to this plan by Airtel which is the 1.5GB for N1000. Airtel network is not that bad in some areas, they have good coverage in some areas. Though Glo data plans are still there for you cos they're very cheap to go for, you can get the code here but you must first of all test their network coverage if its good before wasting your money on data that you can't use. This Airtel 1.5GB data plan is ok for just browsing and few downloads. If you are the heavy download type, kindly checkout Glo data plans here. 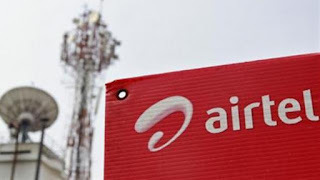 WHICH DEVICES ARE SUPPORTED FOR AIRTEL 1.5GB DATA PLAN? WHAT IS THE VALIDITY PERIOD OF AIRTEL 1.5GB DATA? To check your data balance, kindly dial *140#. plz z d 1k 3gig airtel plan still working 4 Android...coz I've used it b4 but on trying it days bak...I was given d MB but cldnt use it dz tym...called CC and dey said it wldnt work 4my fone....any1else tried it recently and worked?